The Sports Analytics Club at UNC Charlotte has partnered with the UNC Charlotte Footbal Team for Fall 2018 to test fitness of the players and help prevent injuries. In Spring 2018, the Sports Analytics Club worked with the UNC Charlotte 49ers Baseball team to conduct analytics on players' work outs and performance metrics. The UNC Charlotte 49ers Football Team is a new partner this semester. The project requires us to collect the data first by going to every practice and games. We would watch each player and track data such as sprint speed, total distance covered, rest time, heart rate, stress levels, etc. We would then analyze the data to tailor the weekly workouts and practices so players are at their peak to perform before games and prevent injuries. Students within the Sports Analytics Club have busy schedules and are not able to attend every practice or game this season. It is also difficult to collect accurate data without having any technology. In hopes to collect data, the Sports Analytics Club is raising money to purchase devices that will accurately track fitness data. With your support, the Sports Analytics Club at UNC Charlotte will be able to purchase GPS tracking devices, such as the one here. Please make a gift of any amount to help 49er students be able to experience this opportunity in fitness education and analytics. Your donation will help us make sure players are safe by tracking heart rate during and post workout sessions, practices, and games. Your donation will help us to gain useful information on how much distance is covered by each player and how much rest time players are getting in between plays. 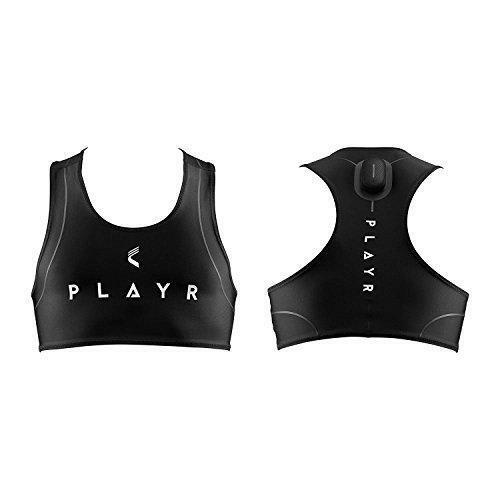 Your donation will help us to optimize player performance by tracking speed during different intervals and the level of intensity exerted by the body.